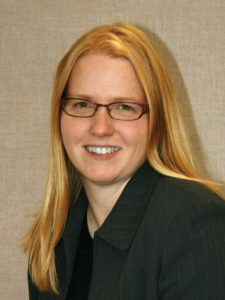 Kristi S. Anseth earned her B.S. degree from Purdue University in 1992 and her Ph.D. degree from the University of Colorado in 1994. After completing post-doctoral research at MIT as an NIH fellow, she joined the Department of Chemical and Biological Engineering at the University of Colorado at Boulder as an Assistant Professor in 1996. Dr. Anseth is presently a Howard Hughes Medical Institute Investigator, as well as a Distinguished Professor and the Tisone Professor of Chemical and Biological Engineering at CU. Her research interests lie at the interface between biology and engineering where she designs new biomaterials for applications in drug delivery and regenerative medicine. Dr. Anseth is an elected member of the National Academy of Engineering (2009), the National Academy of Medicine (2009), the National Academy of Sciences (2013), and the National Academy of Inventors (2015). She is also a dedicated teacher, who has received four University awards related to her teaching, as well as the American Society for Engineering Education’s Curtis W. McGraw Award. Dr. Anseth is a Fellow of the American Association for the Advancement of Science, the American Institute for Medical and Biological Engineering, the Materials Research Society, the American Institute of Chemical Engineers, and the International Union for Biomaterial Science and Engineering. She is currently the President of the Materials Research Society and also serves as an editor for Biomacromolecules, Progress in Materials Science, and Biotechnology & Bioengineering. A major focus of research in the Anseth group is the development of biomaterial scaffolds with highly-controlled architectures and chemistries for three-dimensional cell culture, tissue regeneration, and biological assays. We are particularly interested in understanding how cells receive information from their extracellular environment and what happens to cell function over time when assembled within three-dimensional microenvironments. Our approach exploits classical engineering principles and modeling, as control is required on many time scales, from seconds to months, and on many size scales, from the molecular to macroscopic. Our methods include the design of biomaterial niches that simply permit cells to function, as well as bioactive environments that dynamically promote or suppress specific cellular responses, including proliferation, differentiation, and extracellular matrix production. Our research spans the spectrum of fundamental studies to better understand the role of the biomaterial environment on cell function and the biology of tissue formation to targeted clinical applications in the design of in situ forming cell carriers that promote healing. Further, we use these materials to develop novel techniques to characterize and screen cell-material interactions, rapidly detect biological molecules through controlled surface chemistries, and develop models to study cellular pathology.